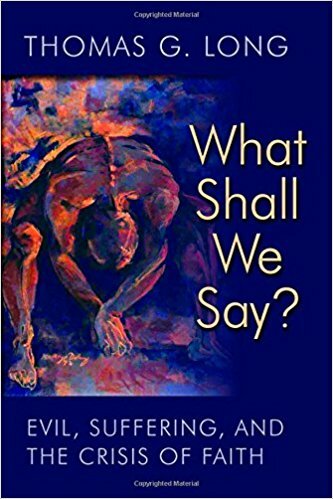 Thomas G. Long, one of our nation’s finest preachers, has taught homiletics for over three decades, and as he recently retired from Emory University, offered a very important book on what Christian faith has to say in the face of evil and human suffering. Long begins this readable story on November 1, 1755, All Saints Day, as the day that the modern world began. A devastating earthquake hit Lisbon, Portugal at 9:40 that morning, with churches everywhere in that city filled with worshipers. The level of destruction raised all kinds of questions about how a God who was all powerful and all loving could permit such a tragedy. Long contends that up until this event, belief in God in the Western world was axiomatic. After it, God became but one possibility among many for a society that up until then was completely shaped by the Church. Tom Long invites leading critics of Christian faith to speak in this book, and gives a fair hearing to those whom some call “the new atheists.” English novelist Julian Barnes says, “I don’t believe in God, but I miss Him.” Long enters into a lively conversation with Christian faith’s most severe critics, and provides his readers with a compelling and winsome view of how a thoughtful, literate, intellectually responsible Christian faith can still speak to our age. Long is a fair critic of so-called Christian thought that cannot stand up to the questions that evil and suffering inevitably and importantly raise before God. Long’s theology is always in conversation with the Bible, yet he also draws upon the best of the tradition, proving again that good theology is “faith seeking understanding,” and never narrow or closed to intellectual rigor. The best part of Long’s book is an extended sermon he offers on Matthew 13, Jesus’ Parable of the Weeds and the Wheat. In the parable, the owner sows good seed, but “an enemy” introduces weeds. The source of evil and suffering in this world is always mysterious in origin, and an enemy to the God of love. Christian faith never offers us a God who uses force to build and control this world, but rather one whose suffering, sacrificial love promises to redeem all human sorrow, and to overcome evil with good. This is a book worth reading for anyone who wants to find help and meaning in the midst of sorrow and suffering. This question of why evil, why suffering, is particularly haunting for me this year. We need to hear these meditations. Thank you. Todd’s compassion, optimism and intellectual curiosity are all on display in this post! Thanks to both of you for sharing and Happy Easter! Blessings to you, Todd Jones. And, thank you, Jennifer. Easter Blessings to all of any faith.